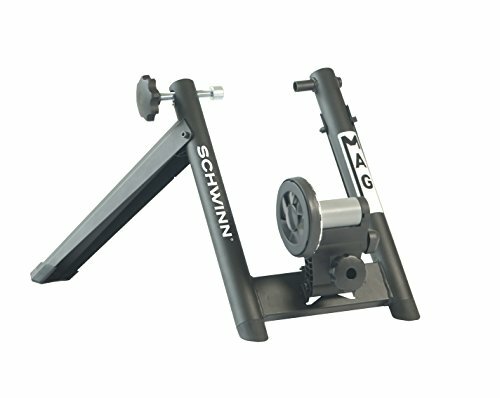 Training with the Schwinn Mag Resistance Bicycle Trainer will help keep you in shape during those times when you can't get out and ride. Featuring a simple hand screwed clamping method to securely hold your bike, resistance provided by magnets, and a wide steel frame, you will be riding safely and securely inside in minutes. This trainer is designed to help you ride all the time, even if this is the only chance you get that day. No more dreading riding indoors.